We are happy to announce that for the next month we would have a special promotion for all of our clients and partners in Indonesia, Thailand and Vietnam. 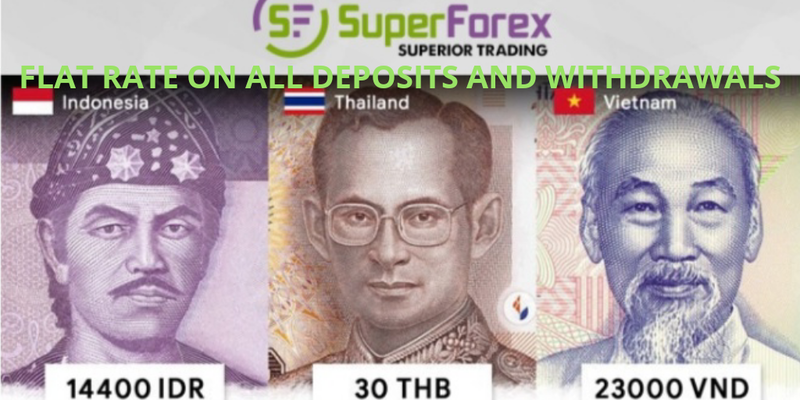 More specifically, for the duration of the promotion we would have a flat rate on all deposits and withdrawals with all payment systems that accept IDR, THB and VND. This means that for a limited time the rates for withdrawals and deposits will be the same. Currently the payment systems that accept transactions in IDR are: PaySec, Triv, and Fasapay, so the promotion is valid for all three of them. We hope you would be able to enjoy these promotional conditions and make the most out of this limited offer. We wish you much luck in your trading!